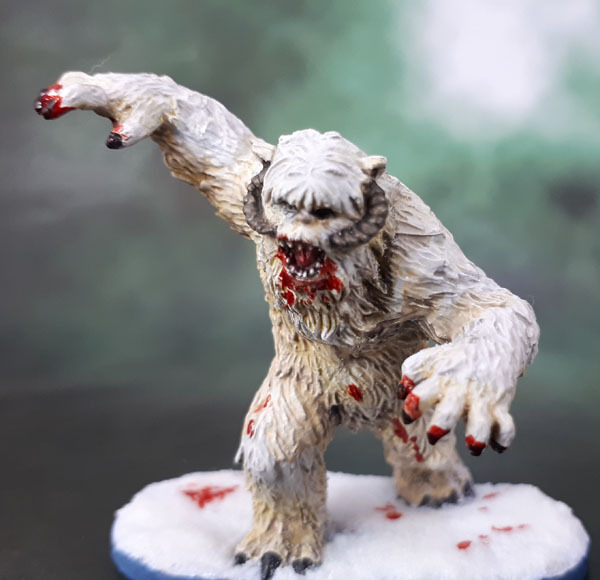 Wampas | Azazel's Bitz Box. Yep, it’s back to Star Wars again today. 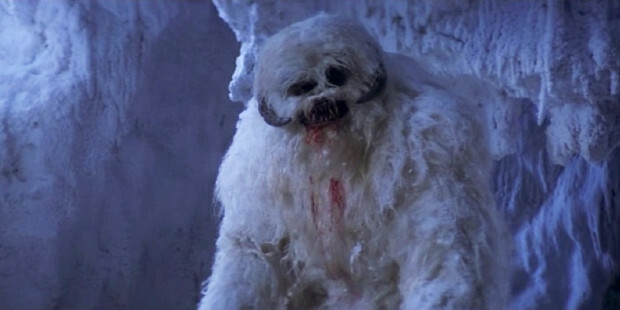 Specifically, the pair of Wampas from the Return to Hoth expansion. Following one of my usual traits, these two got selected for painting because they looked easy to do. Because mostly-fur is often quick and easy. As it turned out, it was a bit more work than I expected in getting all of the tones and nuances in there, but still not too difficult. 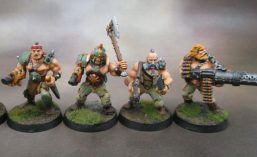 They were pretty decent models to paint. My only real regret is that I didn’t attempt to reset their warped bases in hot-water before starting, and by the time I realised that they were warped that badly, it was too late to try doing so without risking screwing up the paint to that point. So… I’ll just have to live with it. For their bases, I tried something completely new. 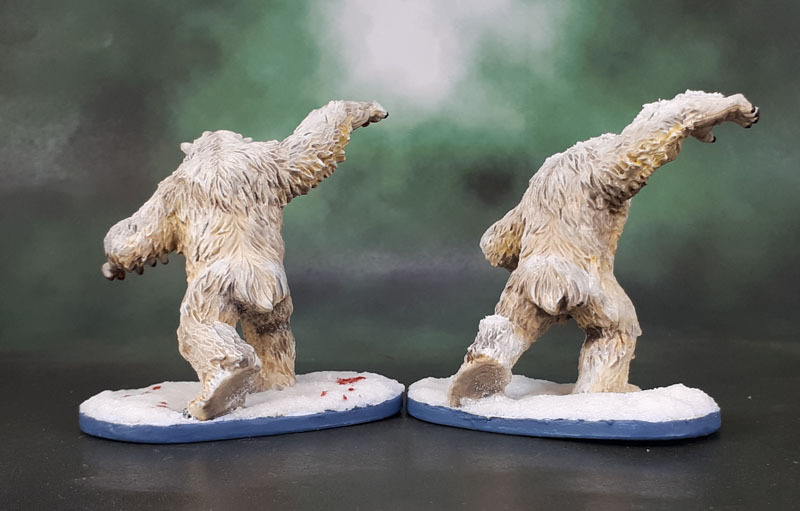 To date, I’ve completely avoided snow bases, because they’re so very specific to one climate, while the dirt and concrete and floor-type bases that I use fit in a little more broadly. 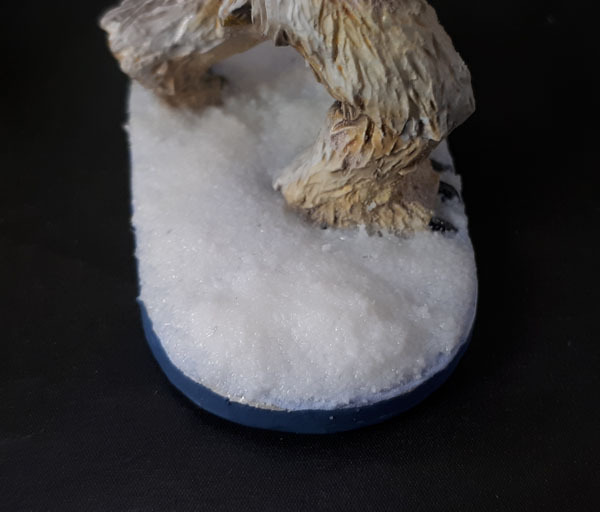 I’ve seen some amazing Space Wolf forces with their scenic snow bases fighting on temperate and even desert mats, and it always looks really incongruous which pulls me out of being able to enjoy them quite as easily. 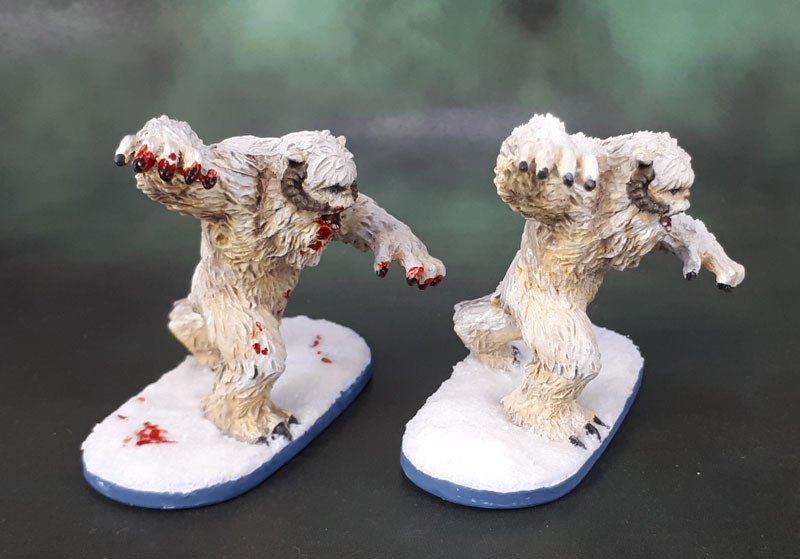 The Wampas then, are the first models I’ve ever attempted to use snow basing on. I wanted to do it “properly”, so set down some Jo Sonja’s acrylic paste, that has been recommended in the past on various forums, but it looked quite plain. 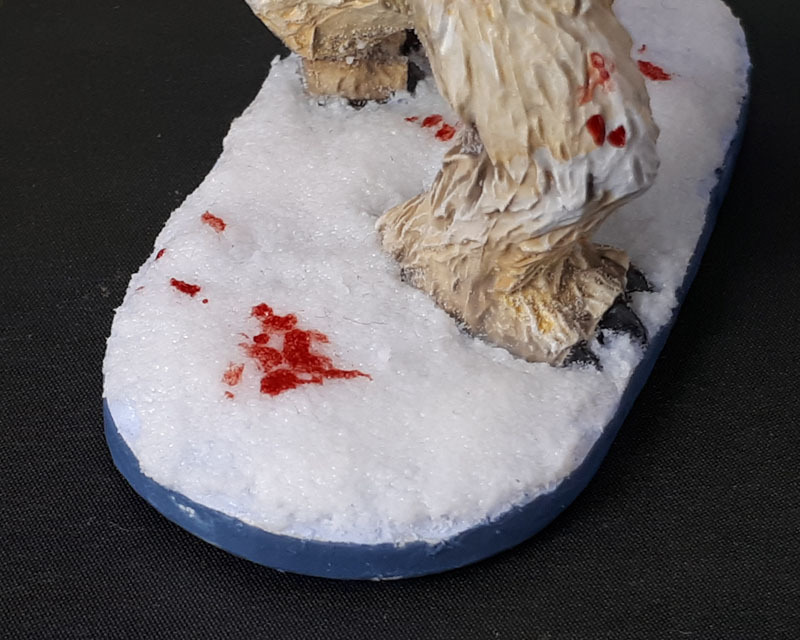 I think it’s more useful used sparingly on otherwise-scenic bases for patches of snow. So then I ordered a giant shaker-thing of Woodland Scenics’ Powdered snow. Tried that sprinkled on top of some thinned PVA as powdered snow, but it was ..incredibly underwhelming like that. Finally, I mixed the Woodland Scenics stuff with watered-down PVA and it looked pretty much like thick PVA, but once it dried, it turned out bloody amazing. The photos don’t do it justice as there’s a wet sparkle to the snow, which is also slightly translucent. Now, I get that snow has various states, from powder, to solid, to melty – but for me and on this scale, this method works for my own aesthetics. 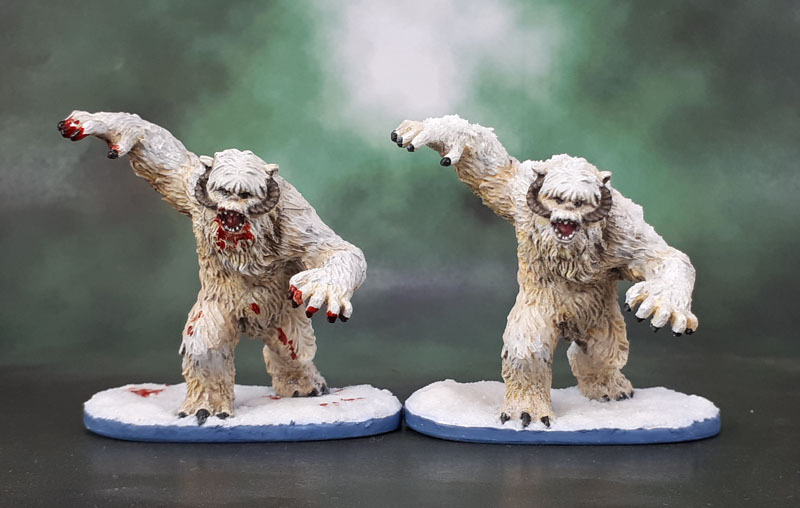 Naturally, the Wampas can come in normal and “elite” forms in Imperial Assault. 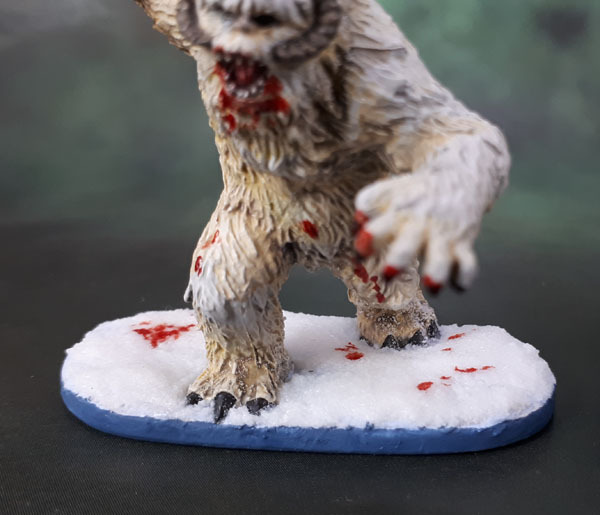 To reflect this and continue to avoid red base rims, I added some blood effects to one of them around the mouth and claws, as well as some blood on the snow. The other one got a bit of extra snow on his body for a minor (almost invisible, even in hand) point of differentiation.